GET THE MAGAZINE NOW TO SEE ALL OF OUR NATURAL BEAUTY LOOKS! At Depths Magazine we believe that Beauty is so much more than the way you dress, how you wear your hair or what lip shade is your favourite! But we also understand that these things do matter to us; as women we are allowed to desire the FEELING of beauty and celebrate our physical bodies too! 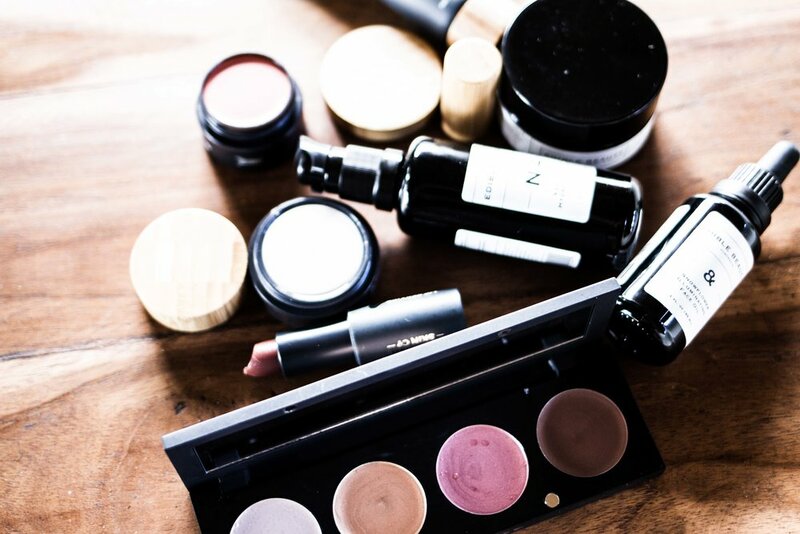 We are excited to share how to cultivate the feeling of beauty into our day to day lives by taking inspiration from conscious women around the globe and making more educated choices when it comes to the beauty products and practises we choose to consume. We are so excited to welcome you aboard the She's A Natural movement. Remember that when we lead by example, we inspire others to do the same - and is there a more worthy cause than supporting our animal friends, our environment and our own health and wellbeing by making the natural switch? So what products are we using to create the She's A Natural makeup looks? We've got all the details AND some cheeky discount codes for you below so you can recreate the looks! Don't forget to check HERE for the full She's A Natural movement explanation and how you can get involved, and click HERE for your issue of the first Depths Magazine and complete Switch to Natural E-book! 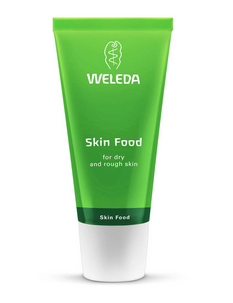 This cleanser uses Camellia Oil to gently remove makeup and impurities without stripping the skin. Bearberry extract works to brightens and lightens complexion and daily use helps balance skin sebum levels, reducing areas of dry and oily skin. This organic rose water spritz is the perfect multi-use product for your skincare collection. Rose water is SUPER hydrating for the skin, and is also anti-inflammatory, anti-bacterial and anti-fungal and balances the pH levels of your skin too- pretty cool huh? And the best part! This product is 100% organic rose water and NOTHING else! So spritz away beauties! Pomegranate Seed Oil- Full of antioxidants to protect your skin from free radical damage and premature ageing! This pressed powder bronzer is made with rice and is a super-fine, smooth texture that adheres to the face and allows the skin to breathe. It is a versatile colour duo that will suit many complexions for a sunkissed look or to contour. Offering satin-shimmer highlights of sheer, buildable color, this luminizer can be use over or under makeup to touch-up, highlight, brighten or prime. 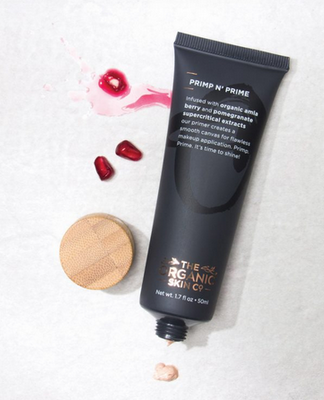 It blends beautifully and uses supercritical extracts of Pomegranate and Calendula offer regenerative properties which help protect and replenish the skin. This versatile palette lets you choose your perfect concealer colour, luminizer, eye shadow and lip/cheek shades for your complexion. You really can't go wrong with these so have a play with colours that suit your skintone and makeup look and go for it! These liners are handcrafted with natural plant ingredients and mineral colour blends. They have a soft, creamy texture and are crulety free, certified organic and perfect for sensitive eyes. The main ingredient in this liner is coconut oil, making it beautifully creamy and nourishing for the delicate eye area and perfect for those with sensitive eyes. This mineral enriched formula doesn’t clump or bleed, is cruelty free and won’t irritate sensitive eyes! With a luxurious silky smooth texture, it's not only clump-free but also Vegan, long wearing, 100% plant derived, 100% natural and ideal for sensitive eyes. This eyeshadow palette is made with chamomile, known for its calming and soothing properties and ideal for sensitive eyes. This palette has 3 matte shades and 3 more shimmery shades that can be blended or worn alone. They blend beautifully and a perfect neutrals to suit all complexions. Enriched with replenishing oils to help keep your lips in great condition, these glosses come in a range of shades to suit every complexion. Perfect worn alone or over your fave au naturale lippie. WANT ALL THE NATURAL BEAUTY INSIDE TIPS? THE FIRST ISSUE OF THE DEPTHS MAGAZINE AND THE Switch to NATURAL E-BOOK ARE HERE, WHICH IS THE BEST RESOURCE TO HELP YOU SWITCH TO NATURAL.